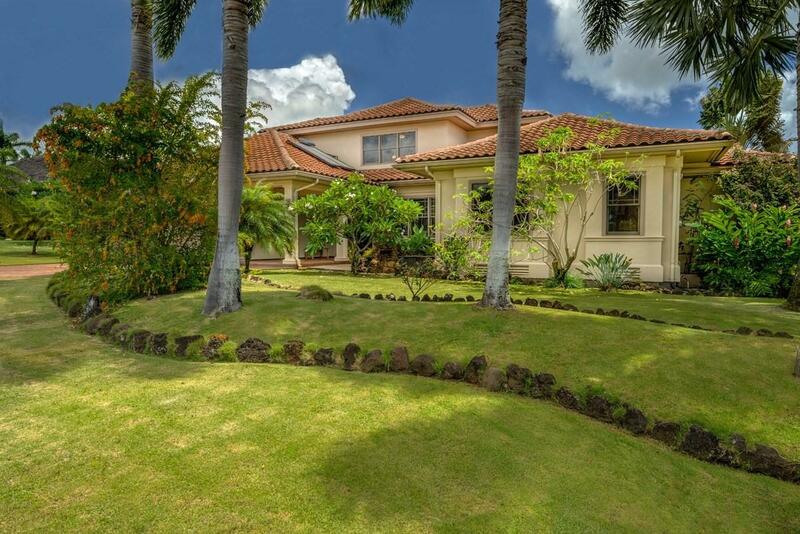 Hale Ho'o Pono (House of Harmony). 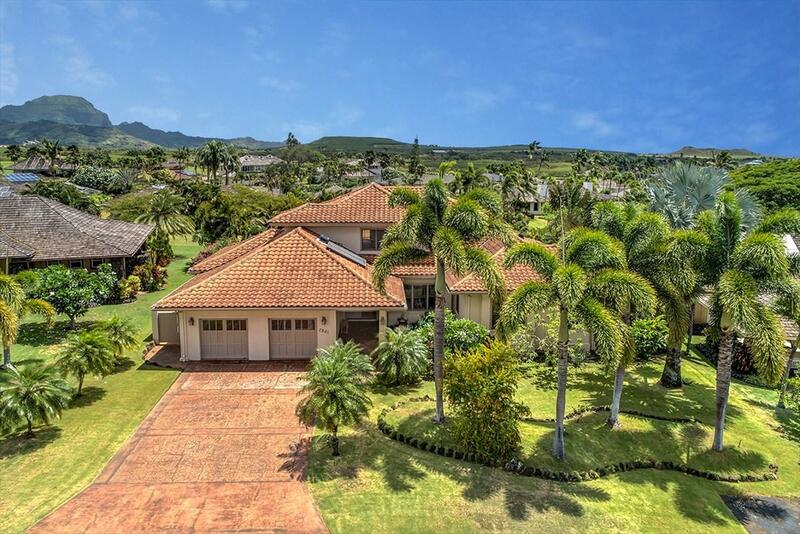 Thoughtfully designed by one of Kauais top Architects this home is what Hawaiian Lifestyle dreams are made of. 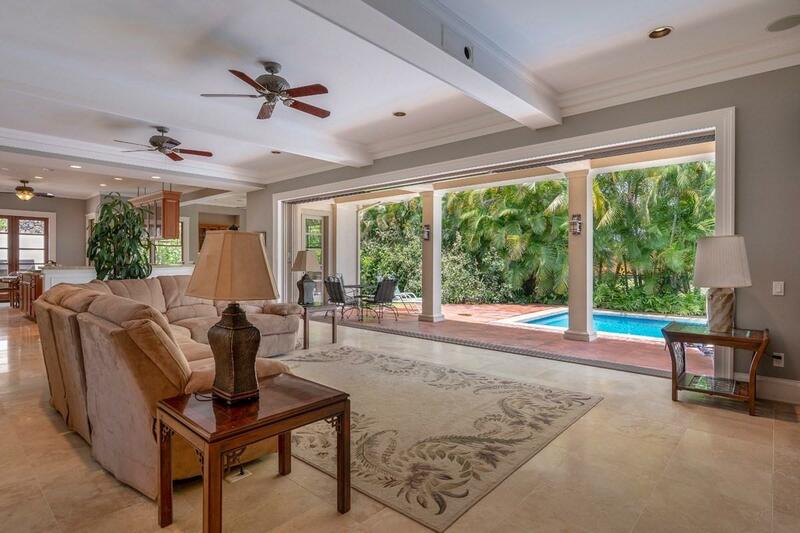 Floor to ceiling sliding doors fold neatly into the walls opening the entire living room to the spacious backyard with mature landscaping, tropical palm trees an in ground pool. 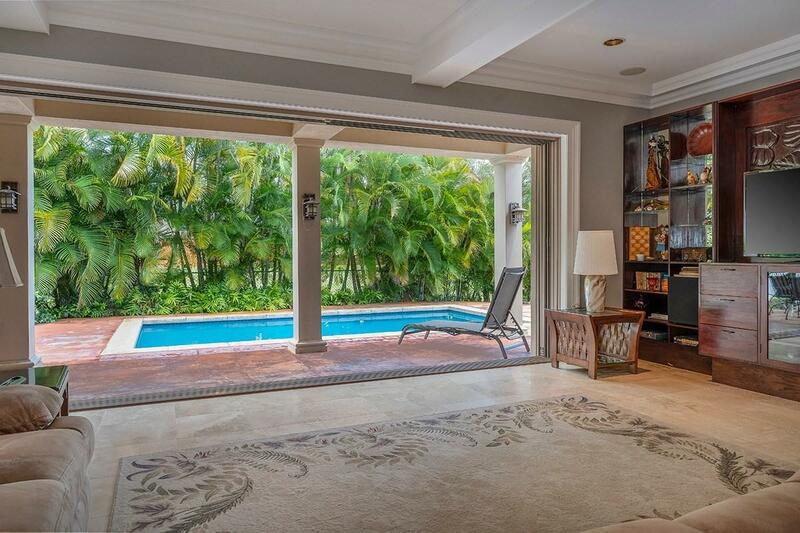 Generous covered lanai space allows for the ultimate in outdoor living experiences. The home has 3 bedrooms, all en-suite and a laundry/craft room that is large enough to become a fourth bedroom. An additional office/library room has two built in desks and is filled with the sounds of the Koi pond located at the front entry. The spacious kitchen and dining area has more than enough space to accommodate the largest of gatherings. Some of the features of this home include:Travertine and Brazilian Cherry Wood Floors on first floorCustom Teak Entertainment CenterInsulated temperature controlled wine roomSolar water heater and attic fansFive burner gas stoveSub-Zero refrigeratorBuilt in ice makerDeWils Cabinetry Fully furnishedCentral VacuumSeparate utility roomTiled RoofBBQ areaAttached oversized 2 car garage with separate golf storage closetCompletely fenced in yardLarge accessible attic with tons of storage spaceSpacious crawl space under the homeFor a video and additional photos paste this link in your browser: http://www.tourfactory.com/idxr2070751Located in the Kiahuna Golf Village, an upscale community in sunny Poipu Beach. Shopping, dining and many outdoor activities are close by yet the community itself feels far away from the hustle and bustle of the lively attractions of Poipu Beach.